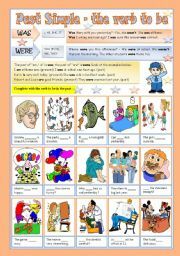 One more part of the "past simple pack" dealing with the verb to be: grammar rules, examples and exercises for students to practice and understand. It´s completely editable / correctable, and a B&W version is included. Hope it´s useful. Thanks for downloading and have a nice day! Some of my ss have difficulties identifying when a sentence is referring either to the present or to the past, so I prepared this ws for hoping they practice and feel secure. Keys on the second page. Hope it´s useful. Thanks for downloading and have a nice day! 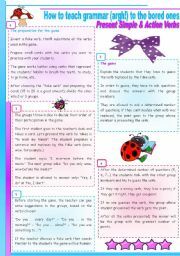 Ws dealing with the verb to be in the Past, with grammar guide, examples and exercises to practice. Hope it´s useful. 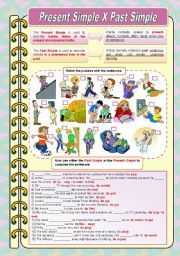 Designed for high elementary or intermediate students. The boardgame comes with 2 dices, tokens and instructions. 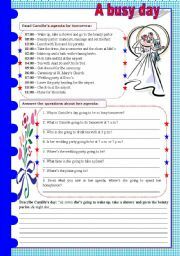 The students will make sentences in the affirmative, negative or interrogative in one of the 6 tenses. It provides practice and fun. Completely editable, hope it’s useful. Thanks for downloading and have a nice day! Ws dealing with Past Continuous - negative and interrogative forms. 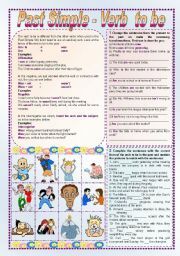 With grammar guide, examples and exercises (gap-filling, sentence formation, matching) to practice. Hope you find it useful! 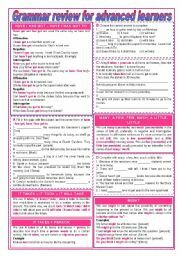 A worksheet with a text and comprehension questions. There are an exercise of "retelling the story" and a gap-filling dealing with the "going to future" that students have to complete according to the text. The keys are included. It´s completely editable / correctable. Hope it´s useful. Thanks for downloading and have a nice day. 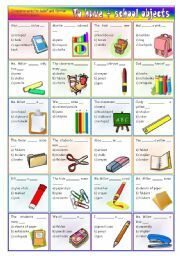 Students will complete with the verb to have in the present simple (affirmative form) and choose the school object corresponding to the picture. It’s completely editable / correctable. Hope it’s useful. Thanks for downloading and have a nice day! 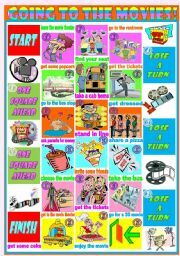 A game I always play with my students when they learn the present simple and the action verbs, that usually helps them memorize the verbs meanings and the use of questions / short answers with the auxiliary “do”. Hope it’s useful. Thanks for downloading and have a nice day!